4GoodHosting.com, Inc. greatly respects the importance of maintaining client privacy of the personal information submitted as part of the ordering process. This policy describes the type of information collected, its use, and its disclosure for users of this site. 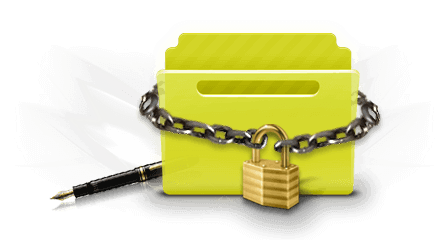 4GoodHosting.com, Inc. strictly adheres to the maintenance of client privacy as it regards personal information collected during the ordering process. Only information that is of a non-personal or non-sensitive nature will be collected and kept on record. Any information given that you then wish to remove from our records must be done with a ticket submitted via the 'Support Center' page found under 'Support' at the top of the 4GoodHosting homepage. Information provided to us will not be shared or disclosed to any third party. Any personally identifiable information placed on those sites will be done so at the discretion of the client, and is not bound by this policy. Certain Federal, Provincial, and local regulations may require that we disclose non-public personal information about you, but this is extremely rare. Note that in over a dozen years of business, this has not been requested of any of our customers so far. Should those circumstances occur, only the specific information requested by subpoena or court order will be provided to the requesting party, and only for their use. Our site or forums may contain links to other web sites. We are not responsible for the content, purpose, products, or services of those sites. Please be aware at all times that any information you might provide to other sites - whether hosted by us or not - is not governed by this policy. This policy may be revised from time to time. Clients should periodically review this policy to be aware of any modifications made.